TRIP IS BEING DEFERRED UNTIL FEBRUARY-MARCH 2020 – STAY TUNED FOR ADDITIONAL ANNOUNCEMENTS. We’re headed to the Socorro Islands, known as the Revillagigedo Archipelago, or commonly referred to as the “Mexican Galapagos”. Only accessible by liveaboard, these waters are famous for up close and personal encounters with giant Pacific manta rays, wild bottlenose dolphin, whale sharks (seasonal) and humpback whales, traveling here to breed and calve annually (Jan-Mar). 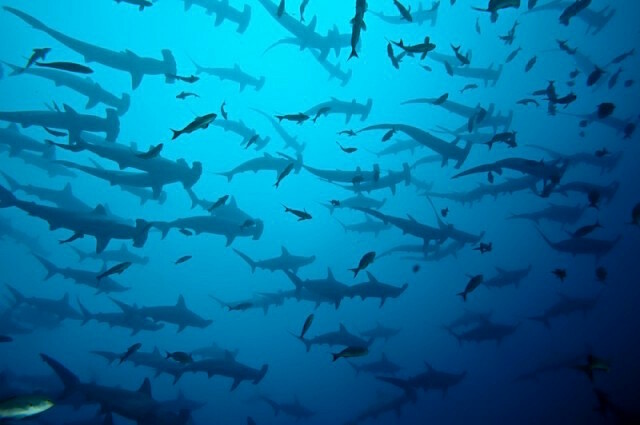 Up to seven species of shark also visit these waters, including schooling hammerheads, Galapagos and silky sharks. So, what’s so unique about this dive and research adventure? We’re going with a shark researcher and conservationist from Colorado – Fins Attached, and Alex Antoniou’s non-profit organization. There’s always a research component with Fins Attached, and you’ll be able to participate, as Citizen Scientists, and as part of the crew used for tagging sharks, internally or externally, deploying transmitters, and collecting tissue samples for DNA analysis. Fins Attached also conducts work on the manta rays in partnership with the Pacific Manta Research Group. 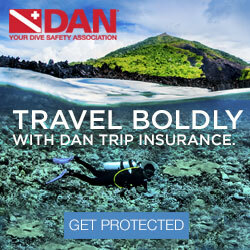 Because Fins Attached is a 501(c)(3) organization, part of this trip’s price will be tax-deductible. Our research vessel, the M/Y Sharkwater is a 134-foot research and expedition-ready vessel, originally built as a Japanese fishing boat, but has been repurposed for the good of our oceans through the marine research and conservation mission of Fins Attached. Only in service for 3 months, it has already hosted scientists, non-governmental organizations (NGOs), marine science students, and documentary crews for trips to Galapagos, Guadalupe, and Socorro. As a small group, with a maximum 14 guests, we’ll enjoy a small group experience with seasoned divers, and photographers. 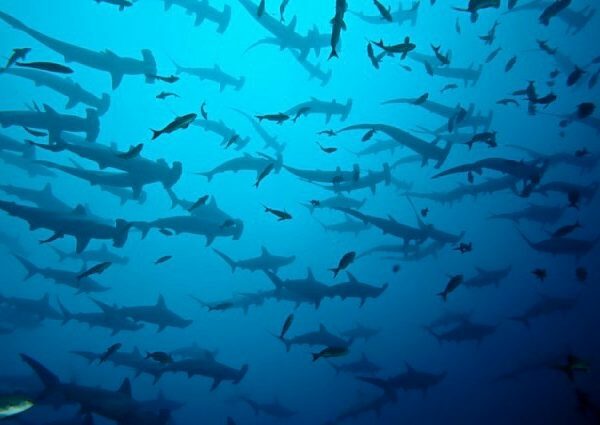 Other tour operators may have from 18-32 guests diving these remote islands, and once you see Roca Partida, you’ll wonder how they could get that many divers on one site?? Our trip will include dive guide and Mexican Researcher, and Chief Scientist, Mauricio Hoyos Padilla, which you’ve seen on many documentaries in Socorro and Guadalupe for his work with “Shark Men”, and the Great White Sharks of Guadalupe. Water Temperature: Water temps range from 21-23C/70-74f during the winter and 24-28C/76-82f during late fall and spring. Usually a 5mm wetsuit with optional hooded vest works well at Socorro. Note that dive gloves are not permitted at Socorro by law. 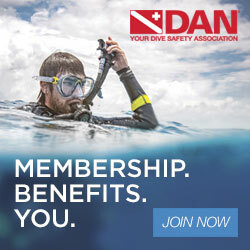 Visibility: varies depending on the dive site, season, currents and other conditions. Roca Partida often has the best visibility, reaching over 100 feet. There are sometimes reports of lower visibility in November/December (when whale sharks are found feeding on plankton). We recommend Socorro for experienced divers due to the exposed nature of the diving. The islands often see choppy seas and strong currents (which attract the rich pelagic life). The diving is correspondingly rugged, with rocky structure and some huge walls. Liveaboards will typically run 3 to 4 dives per day, diving the best sites at Socorro Island, Roca Partida and San Benedicto. The objectives of this expedition, besides the incredible diving, will be to tag sharks, and to be able to track their movements. JOIN US on this thrilling adventure of diving and shark research.